President Michael D Higgins is refusing to comment on claims he stayed in a luxurious five-star hotel where the top suites can cost €3,000 a night. 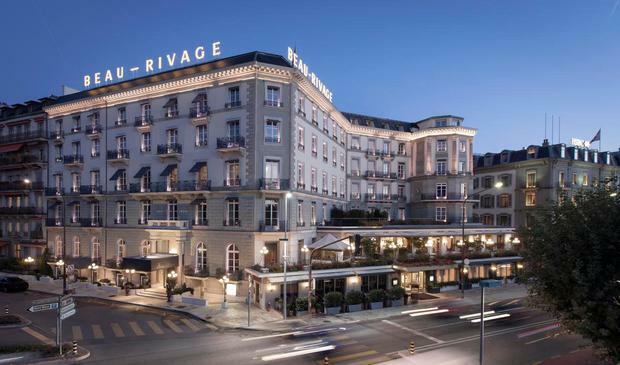 Former presidential hopeful Independent Senator Gerard Craughwell claims he received information suggesting Mr Higgins stayed in “one of the most expensive suites” in the Beau-Rivage Hotel in Geneva, Switzerland. Suites in the hotel are currently being advertised for between €2,749 and €3,095 a night. The claim follows calls, from presidential candidates, for the Office of the President to be subjected to Freedom of Information legislation. Mr Craughwell said he was contacted by a member of the public who was concerned about the potential cost of Mr Higgins’s two-day stay in the Swiss city. “The person who contacted me expressed deep concerns about the potential cost of the trip and my information is that the President stayed in one of the most expensive suites in the hotel,” he said. Mr Craughwell has openly called on Mr Higgins to address his claims on social media. The Irish Independent put several questions to The Office of the President about Mr Higgins’s stay in Geneva. However, his office did not respond to the questions for more than four weeks. The office confirmed Mr Higgins travelled to Geneva to speak at an event hosted by the International Labour Organisation. However, it refused to comment on Mr Craughwell’s claim the President stayed in a top suite in a hotel that boasts a Michelin Star restaurant and €3,000-a-night rooms named after composers, actresses and French politicians. The Department of Foreign Affairs also refused to respond to the claim. “We are not in a position to provide information on the costs associated with the President’s travel,” a spokesperson said. The Office of the President is exempt from Freedom of Information legislation despite receiving more than €30m from taxpayers over the past seven years. Government departments are also prevented from releasing details of money they spend on the President’s Office. Presidential candidates Pádraig Ó Céidigh and Gavin Duffy have said the office should be covered by the legislation.